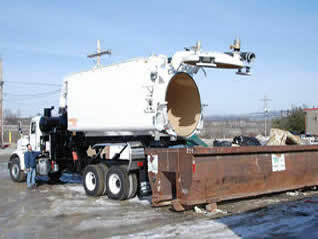 The VACALL™ AllVac industrial vacuum loader air vacuum trucks offer incredibly versatile wet and dry vacuum capability. 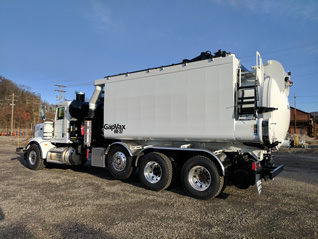 The VACALL AllVac is a high-capacity, truck-mounted industrial vacuum loader that is used worldwide by specialized contractors in the environmental cleaning industry. For years, cement plants, steel mills, power plants and other heavy industries have relied on the power of the VACALL AllVac for smooth facilities operation. Its wet and dry vacuum capabilities make the unit an incredibly versatile cleaning machine. Various filtration options, off-loading systems, vacuum pumps and corrosion-resistant components are available to customize your unit for your unique operation.